Our existence is the time at our disposal between birth and death. No-one knows in advance for how long anyone will be allowed to exist, yet to be able to live a life of meaning and without fear, we believe that we will not die today, in a week or a year, but be able to have a full life. On our path through life we are accompanied by beloved people, family and friends who give us affection and support in the wayless vastness of existence. Yet each one of these beloved persons is ephemeral. – Suddenly your own son is torn from the center of your life, you lose hold on life, nothing is able to catch you, there is no comfort, no comprehension, your situation is unfathomable, senseless, unacceptable. Why him? Why now? Why before me? We do not know the answer. The emptiness of his absence swallows you, you retreat inside yourself, lose all sense of yesterday or tomorrow, no¬thing concerns you anymore, every breath you take is mockery, ago¬ny – you grieve unspeakably. Yet outside of space and time, of language and consciousness, a transcendent door to an immaterial sphere may open, which in the book is named „Weltenseele“ (world-soul): Here, we can be close to our beloved lost one once more, communicate with him, and this meeting may ease, even heal, as Dorothea Stockmar illustrates in an account of her own – somewhat accidental – after-death communication. 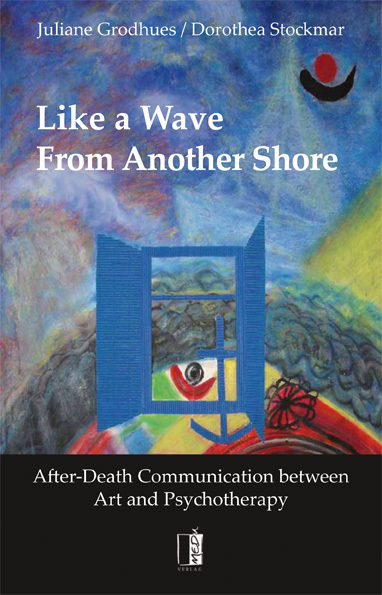 Juliane Grodhues describes IADC – a method recognized by psychologists as a way to allow a grieving person to reconnect with a dead loved one and thus to grasp death as an integral part of life.